Note that Exit 90 is also called the McCallum Road exit. Search http://www.greyhound.ca for trip planning. 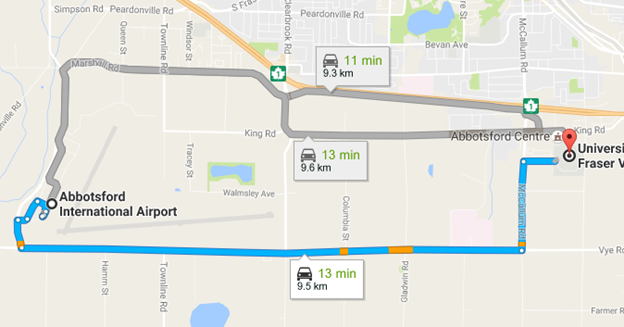 There is a bus from Vancouver (and points East) that arrives in Abbotsford at 7:50 AM, and buses that leave for the Vancouver area at 3:15 PM, 6:25 PM, 8:05 PM and 8:20 PM. Parking lots closest to Building F are Lots 8, 9, or 10 (10 being the most likely one to have capacity). Note that the map indicates an “S” for student parking, but visitors who use the ImPark machines to pay can use any Student parking lot. If you have pre-arranged for one of 10 parking passes made available for this conference (priority to car-poolers, then first come, first served), get the parking pass from the registration desk in Building F and then return to display it on your dashboard. 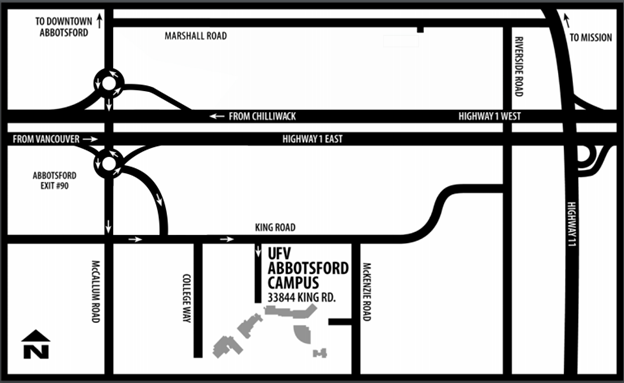 If you would like to reserve one of the 10 free parking passes, please email Sandra.Smith@ufv.ca. There may also be free street parking available within a couple of blocks of campus. Reciprocal Parking Agreement with Trinity Western University – Permit-holders from Trinity Western University may park at UFV for free in student/ public parking lots so long as the permit is displayed. 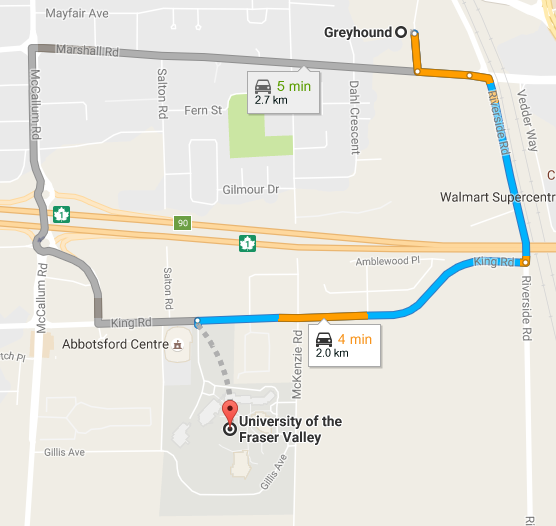 UFV does not have reciprocal parking agreements with other institutions.